Tricia was an absolutely amazing photographer for our wedding in March. She was professional, organized, and a pleasure to plan with and be around. Tricia’s photographs turned out amazing and beautiful. I could not have asked for a better photographer. I should also mention, on our wedding day there was a snow squall! Not a pretty snow fall, but instead a smack in the face, clothes drenching wall of snow while we were outside taking group photos. Tricia did not stop taking pictures the entire time. 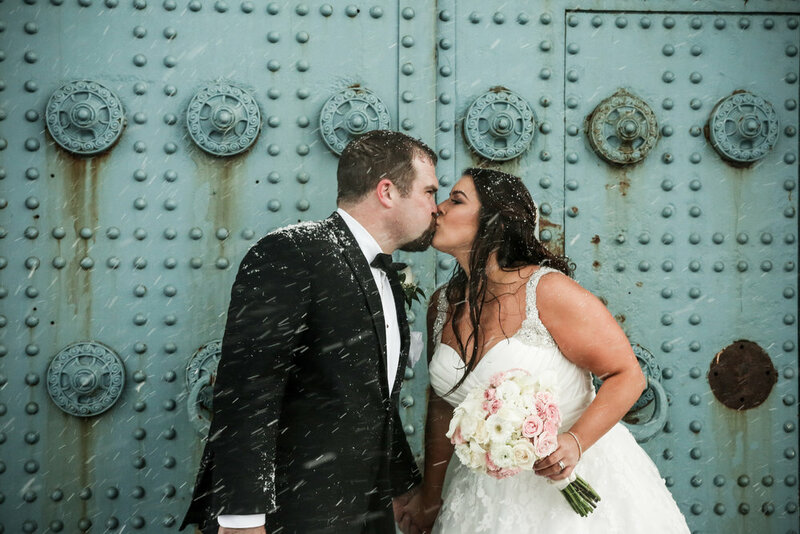 Through all the chaos and wall of snow, she kept shooting and captured some of the most amazing wedding pictures I have ever seen. I was amazed at her ability to maintain her composure and continue shooting. Tricia’s prices were extremely reasonable and she also provided a mini album with 3 days and the full album within 2 months. Tricia values your ideas and wants to see your inspiration. She also asks for a list of the photos you would like. She uses this list to make sure she gets every shot you want and expect while also capturing a million other moments! 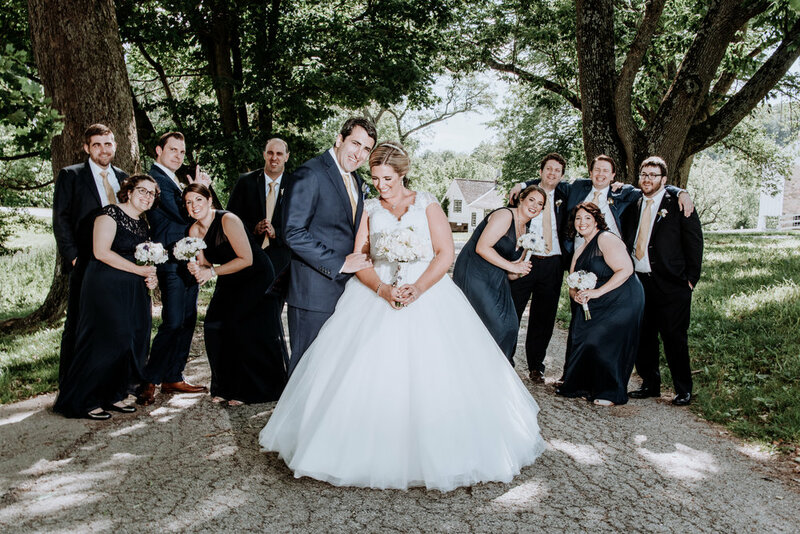 We loved having Tricia as our wedding photographer! Tricia's responsiveness, flexibility, and work are unparalleled. My husband and I couldn't be more pleased with both the quality and value of our engagement and wedding photos. The thought of posing for engagement photos intimidated us a little, but Tricia is so calming and funny that it turned out to be a memorable experience (especially with our dog joining us for the photos). We adore the pictures and had them back very quickly. Included in our package was a yoga session led by Tricia (remember, she's calming!). I did yoga the morning of my wedding with all of my bridesmaids and it was so therapeutic. We started the day on the perfect note and it meant so much to all of us. Tricia worked well later that day with the entire rowdy bridal party to make sure we got every shot that we'd planned. The photos are spectacular, it has proven difficult to choose favorites because there really are about 300 that we would frame in a second. I highly recommend Tricia to anyone looking for a talented, down-to-earth, and reliable photographer! Tricia is warm and comfortable in her approach. She makes you feel comfortable on a day that can be filled with nerves. Tricia also balances her approachable personality with great skill and an ability to effortlessly take control and get all shots you want. She's direct and super open to any ideas you have. She's wonderful to team with. We will treasure our video and photos from our wedding forever and are SO HAPPY that we chose to hire Tricia to shoot our wedding! Tricia photographed our wedding and reception this past October. Not only was she professional and talented, she is an awesome person. I felt so comfortable with her from the beginning. I was nervous about the photography aspect of our wedding because I come from zero back around about it and had no idea how it was going to work. She made the process so easy and was so organized. She periodically checked up on us in the days and weeks leading up to our wedding to make sure we were still on the same page with everything. The day of the wedding she was on point and kept everything in flow while sticking to our timeline. Shortly after our wedding we received our pictures back and they’re absolutely wonderful. We couldn’t be happier with the interaction, quality, and service that Tricia provided us with. I would definitely recommend her and can’t wait to have her shoot other events for us! We cannot say enough good things about Tricia! From our initial meeting to receiving our pictures, we were so impressed by her warmth, professionalism and organization. Tricia asked for a list of pictures we wanted and, using that list, created a "lesson plan" for the day. We were able to get all of the pictures we wanted without missing the fun of our cocktail hour and reception. She gave us great ideas of locations for the photos, as well as a back up plan in case of rain. Throughout the day, she wrangled our group and kept everyone organized and in place, while not taking a ton of time out of the day. I felt like I barely saw her shooting during the ceremony and reception, but she captured every single moment without being at all intrusive. I have had so many people comment that her pictures were some of the best they're seen and I agree. She provided us with a mini album a day or two after the wedding and the full album just a few week later. After talking to several photographers, we decided she was the best match, based not only on price, but personality (you don't want someone with you all day you don't like!) We are so glad we were able to work with Tricia and absolutely love all of our pictures! Tricia has been a close family friend and was traveling with me at the time when I met my husband so we knew she should be the one to capture our special day! Tricia did just that and more. She was very easy to communicate with in regards to planning the different types of pictures we wanted on the day of. Also she added great ideas of her own for other photos which we would of never thought of. 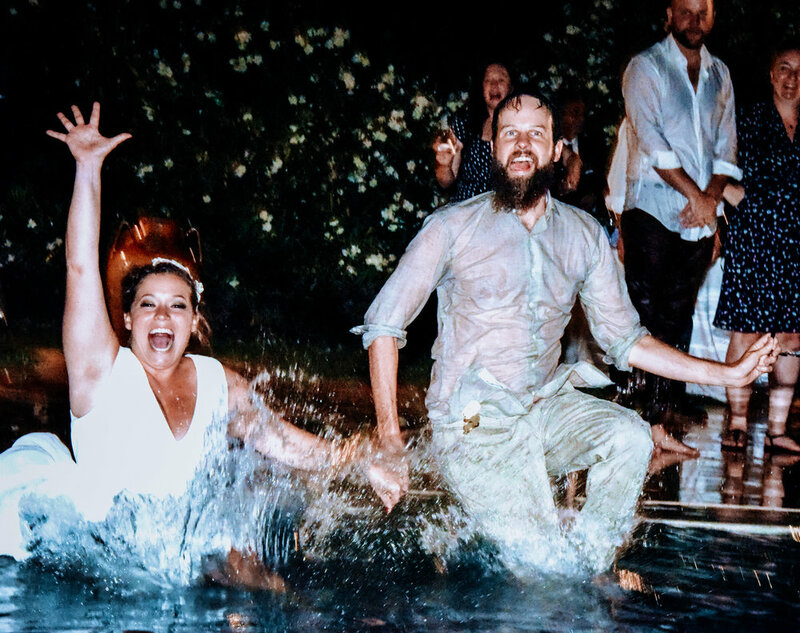 The day went so smooth, Tricia took control and captured all our favorite moments. I never once questioned if anything was be missed I had full faith and trust that they would be captured which they were! I highly recommend Tricia to any future couples. She was professional, easy to work with and trustworthy.